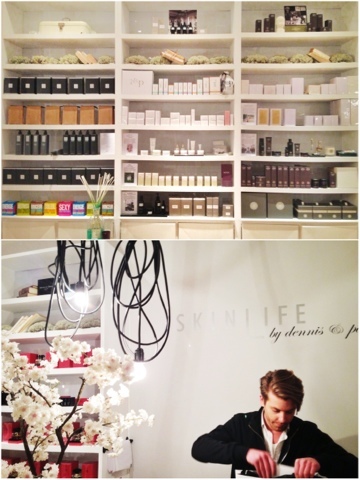 The Fashion Guide Blog : SKINLIFE experience. 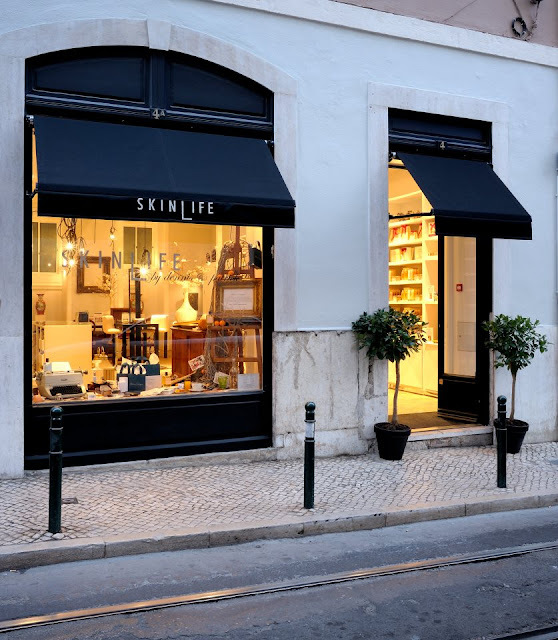 Walking through Chiado, in the heart of Lisbon, there's a shop everybody should visit: SKINLIFE. Aiming to offer a unique and exclusive collection of perfumes, make-up, skin and hair care and lifestyle products, the Dutch owners Dennis de Vries and Patrick van den Berg opened this boutique a year ago. Some of my friends told me about it after they went there and loved the experience, so I decided to stop by and see for myself what Dennis and Patrick have to offer. 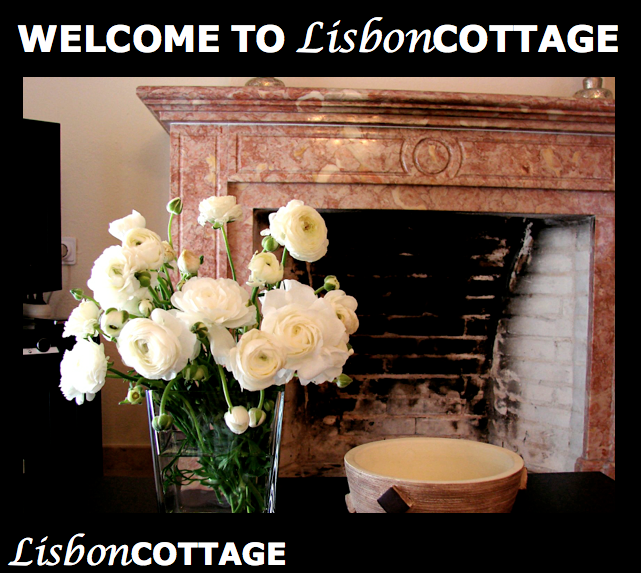 Skinlife is located in Rua Paiva de Andrade 4, a few metres away from Baixa-Chiado metro station outside the famous Cafe A Brasileira. Walking in is a completely different experience. It's no ordinary perfume shop. 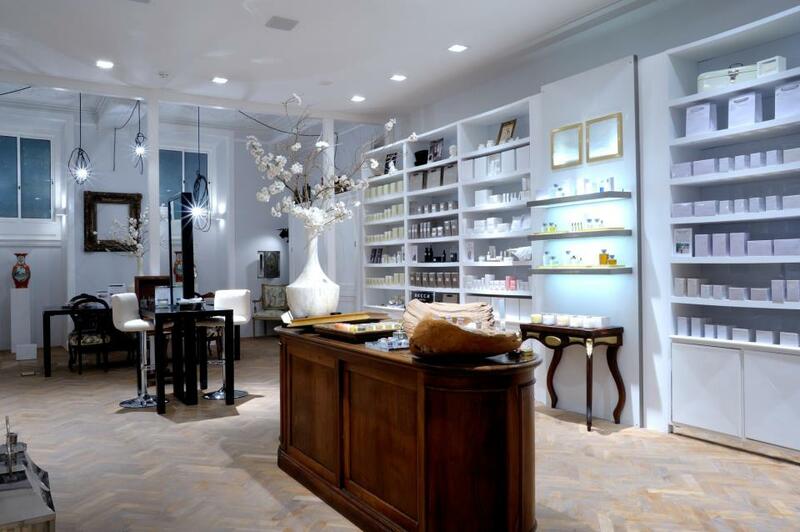 The spacious layout features walls covered with perfumes, skin and hair care products and make-up and the whole experience is enhanced by a fresh clean smell that makes you not want to leave. Dennis explained that the people who create their products are passionate about and only use the purest and highest standard ingredients to ensure the quality of the products. That is what it makes them "niche brands". 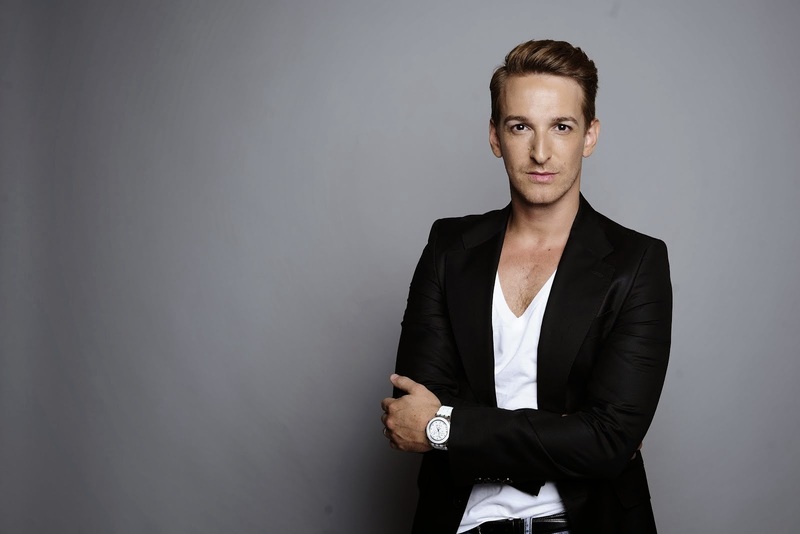 Dennis worked for the top in the beauty brand, Creme de la Mer, and an exclusive Spa resort and did the make-up for a number of films and TV shows. His last job in Holland was Skins Cosmetics. Patrick, whose mum is Portuguese, started his career at Chanel Benelux and was responsible for make-up events, training and press lunches. 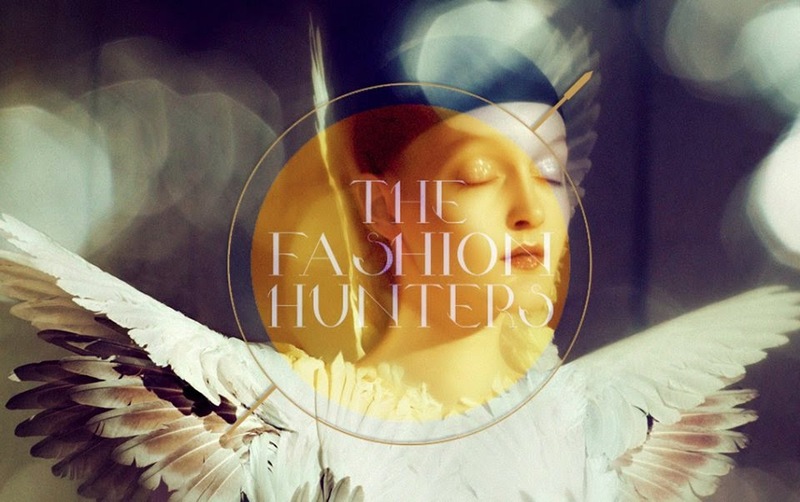 During his 5 years at Chanel where he became head make-up artist, he travelled all over Europe to experience the differences in make-up cultures. He also worked as a make-up artist for several fashion shows, photo shoots, TV shows and films. The philosophy they both share is to bring exclusive brands to the Portuguese market so their clients enjoy something exclusive and distinguished. They invited me for a coffee and sat down for a little chat when they confessed they care more about the relationship they're building with the clients than the value of the products, and I have to say that their products are not as expensive as you might think. 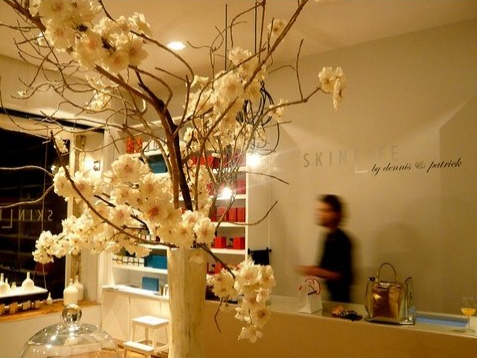 People might assume that, just because Skinlife doesn't look like a normal beauty shop, the products they sell are expensive. Well, that’s simply not true. For example, skin care products range in price from €22 to €85, make-up from €18 to €50, home fragrances (which I'm smelling as I write thanks to their gift of an amazing scented candle that I’m now addicted to!) from €20 to €85 and perfumes from €15 to €375. Nowadays pricing is so important and even more so when it comes to beauty products. So you see, it's not that expensive, is it? Apart from representing and selling these products, they also offer other high quality services such as eyebrow treatments using tweezers, daily, party and wedding make-up and workshops in groups where Patrick teaches you how to create a day time look and how to adapt it to the night - and all this while drinking a glass of wine or juice and nibbling on some appetizers. He also is available for masterclasses. The price range: from €25 to €50 per person. What a fantastic idea!? 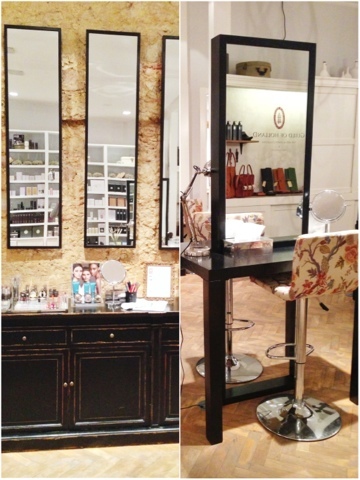 Why not take your friends and spending an evening at the boutique and learn some make-up tips? Or maybe what you need is your morning make up. In this case Skinlife offers you the possibility of having your make-up done while having a lovely breakfast at the boutique so you can arrive at work looking your best! 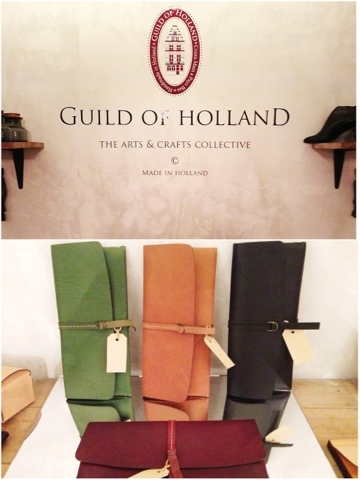 They also have a little section for leather goods: Guild of Holland. Guild has developed a style of product design that reinforces an understated approach through apparently simple ideas, structures and designs all with the highest quality materials available. They sell iPhone covers to key hangers, shopping bags and clutches which can be personalized with your initials and your favourite colour. Among smells of vanilla, fresh citrus and vetiver, Dennis and Patrick revealed that next month they will be launching a custom skin care service. How amazing is that?! So you'll know which type of skin you have and you'll be able to buy products specially created for you. 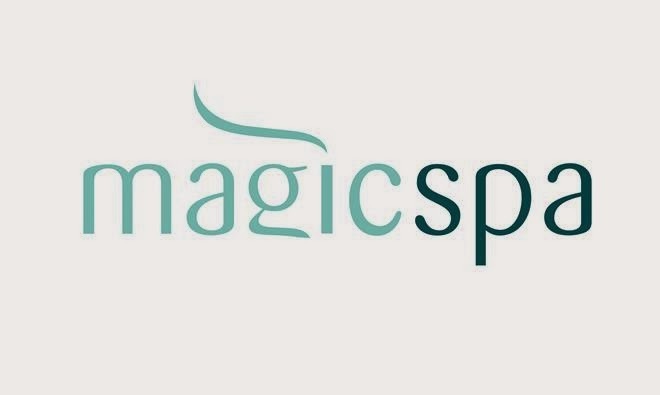 As a team they have years of experience, working for the best perfume houses in the world. Above all they are passionate about beauty. 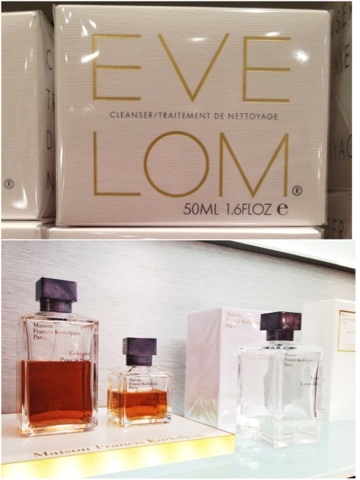 Skincare: Eve Lom, Dr. Alkaitis, Zenology. Make-up: Ellis Faas, Becca Cosmetics. Perfumes: L.T. Piver, E. Coudray, Lubin Paris, Maison Francis Kurkdjian, Atelier Cologne, Maison Mona di Orio, Hierbas de Ibiza, Escentric Molecules. Lifestyle: Hairblax, Rosebud Salve, Guild of Holland.